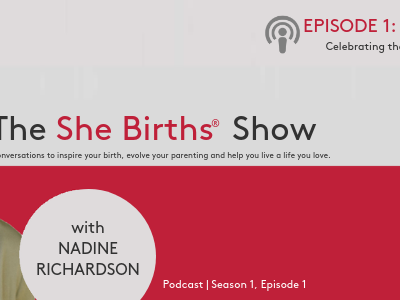 For so many years I have worked to help couples overcome their fears of birth. It’s not easy to let go of all those niggling little doubts. It’s not easy to uncover the subconscious fears we all have but are unique to each of us. Of course education can be an amazing process of transformation but there’s only so much more we can do in prep for a better birth. Birth itself does a lot of work on those deeper more hidden parts of ourselves and forces us to change or let go…but I’ve been on the hunt for methods I can suggest for mums and dads that will really help them to come into a totally confident fearless state before the first contraction. Kinesiology is definitely one of the most helpful modalities I’ve found. Have you ever tried working with a kinesiologist? Have you tried neuro emotional technique? Have you ever been stuck going in circles with therapy and not been able to shift? 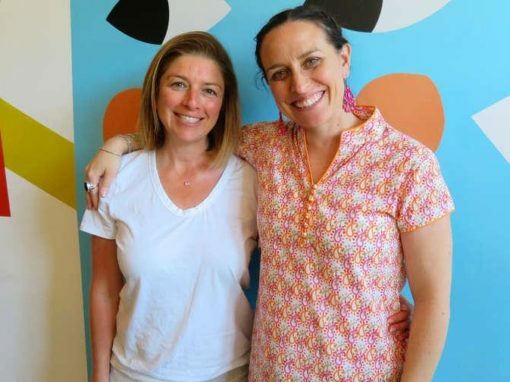 Today we have an interview from a good friend Prue Sturgeon who works as a Holistic Kinesiologist, Mind Body Medicine Practitioner and Spiral Practitioner. She has a special offering for our She Births families too. Prue has the honour of working with clients to identify limiting beliefs and patterns that may be consciously or subconsciously holding them back from experiencing what they truly desire in life. Through the art of kinesiology and Self-enquiry, they explore where there may be imbalances physically, emotionally, mentally and spiritually in order to bring a sense of alignment with Self – a deep knowing of oneself so as to create authentic connections from this space be it in relationships, creative expression, movement, career and so on. Why is it important to do this emotional clearing work? We all have conditioning based on the environments our ancestors lived in, and the types of events the generations before us lived through. All of this conditioning is passed down from one generation to the next, much like genes are. And, in addition to this, we accumulate new conditioning from the moment we’re born and throughout the events we experience growing up based on the environment around us. Basic neurobiology states that, experience is the architecture of the brain. And so, given that the brain is not fully developed when we are born, we download our understanding of the world around us based on our environment and, often, how our parents viewed the world. And so if we were raised in an environment where, for example, getting on a train was communicated as a terrifying experience, there is a high possibility that we may make a subconscious link between trains and terror that may not serve us later in life, even when logically it may not make sense as an adult. This work is important because it offers an opportunity to clear what no longer serves who you are NOW. Opening up space to invite and allow what it is that is truly in alignment with You. Why is it important that parents do this work? > from an individual perspective, this work offers an opportunity to identify and clear what that may be holding you back personally from enjoying the ride of being a parent, whether that be fear of not being a ‘ good’ parent, of not having enough knowledge/money/time/support, OR of the birth process itself. And, whatever is going on for you at a personal level, will obviously be affecting your little ones (born or on the way)..
> from a parent perspective – given the enormous impact that parents and caregivers have on their children, we can look at how you desire to impact and guide your little ones. 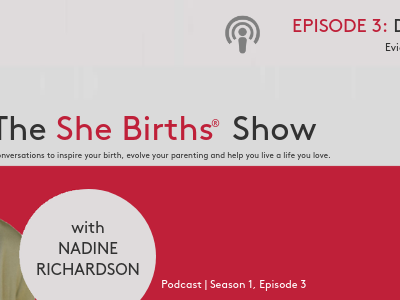 By looking at the important archetypal shifts of becoming a Mother/Father, how we can instil patterns and beliefs that create an environment that allows your children to thrive, and the whole family to flourish. What do people need to release? Often we hold on to old patterns and beliefs that, at an earlier stage in life served to keep us safe/calm/protected. If you grew up in an environment that didn’t encourage you to connect with and express yourself, chances are you dimmed your light to feel safe or accepted in that environment. This is our incredible ability, as humans, to adapt. Often, and most importantly, we adapt as a survival mechanism, particularly as children, but the chink in the chain happens when we carry these survival adaptations into adulthood where they may no longer serve us. You use a method calling ‘The Spiral’, can you explain this for us? David Hawkins’ ’Scale of Consciousness’ – a scale of 22 core human emotions measured in terms of their ‘level of consciousness’ or vibration. The Spiral is a 7 stage process that delves deep into your relationship with yourself, your life and your patterns around the most common emotions that humans experience in order to clear what no longer serves you and begin to move more freely into who you truly are. The Spiral is delivered online via zoom over 7 sessions plus 1 final integration sessions. It’s helps to raise your level of consciousness so that you can start to see your life and the world through a more empowering pair of glasses. There are a variety of ways that I work with Clearing (of which the Spiral journey is the most in-depth process) as well as the numerous tools and techniques acquired through studying Mind Body Medicine – which is based on Traditional Chinese Medicine philosophy. I have worked with a number of clients on clearing both their relationship to themselves, and also their relationship to family, friends, loved ones (both alive and deceased), their business, their creativity – the possibilities are endless. And this can be done in one or multiple sessions depending on the situation. Through the use of Kinesiology, we are able to tap straight into the body and subtle body to identify what may be blocking the flow of energy in that area. Level 5 – Increasing EXPRESSION – releases low self esteem & anxiety. Increases confident and true expression and communication is all it’s forms. Do you have Dads who benefit as a well? 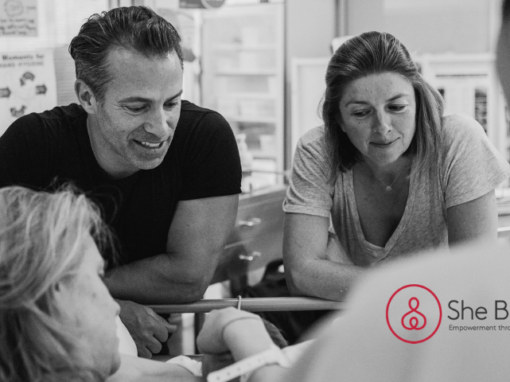 Absolutely – this kind of work does not discriminate, and there is often such a great focus on motherhood, that it is important to recognise where there may be some stuff to address and clear to assist Dads on an equally empowering and connected journey through fatherhood. Being responsible for new human life is a big shift for anyone, and so this work can assist in supporting and preparing how Dads can FEEL prepared for and ENJOY the experience. When is a good time to do this work and why? These are an indicator that you are being called to realign yourself, to step up and upgrade your level of thinking/being/doing to a more aligned place internally. We are constantly evolving and growing, as is the world around us, and it is a greatly humbling and rewarding experience to continue to develop and evolve our internal relationship with Self. Health Space is an integrative clinic offering numerous health and wellbeing services including chiropractic, physiotherapy, acupuncture, kinesiology, nutrition, naturopathy, bicom therapy, counselling, massage, infrared sauna and more. There are 18 clinics across Sydney. I see clients from the Kings Cross location, and online.